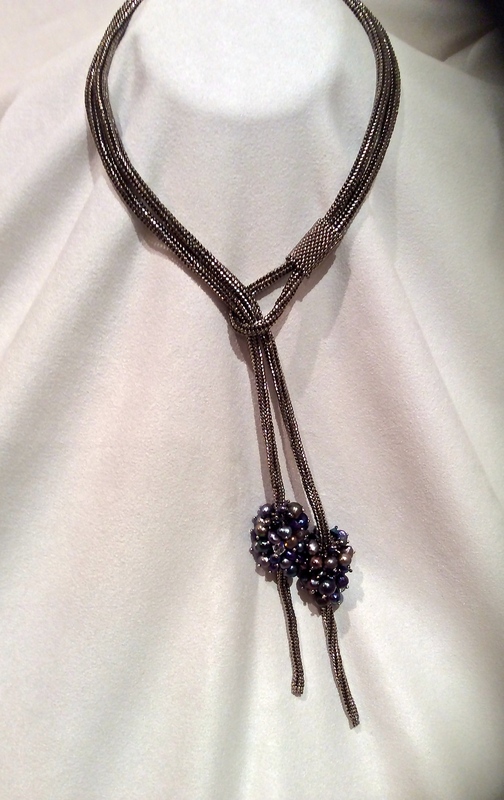 This lariat is made of nickel plated cylinder beads. The necklace hangs slightly asymmetrically. The two baubles contain more than 70 fresh water pearls and Swarovski Crystals.